If you've seen any of my previous rants posts about the food situation in my household, you know that my husband is a complete carnivore. 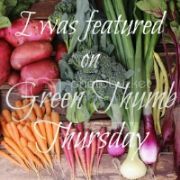 When it came time to green up our eating habits, it was understood that my family would step outside their comfort zone and try new foods, but that I would also make foods they like, so they didn't go hungry on any particular evening. One thing my husband refuses to eat is beans. Growing up, his family never made them. Ever. As in not even one single time. In fact, up until we started dating, he was under the impression that beans were only for poor people. I, on the other hand, like beans of all kinds. As part of our understanding, I make them on evenings when my husband has his night classes, or I make them at lunch time. 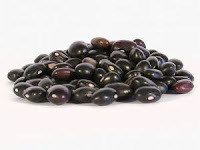 This afternoon I'm making a black bean hummus recipe that I found on All Recipes. I've made hummus before, but never with black beans. This sounds like it would be perfect with a fresh salad from the garden. Are there any foods or meals that lead to revolt in your home? 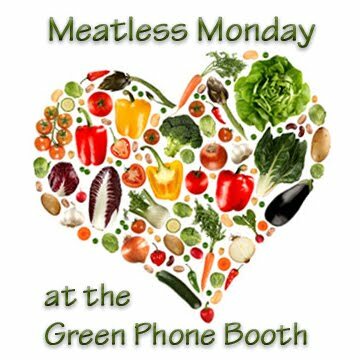 Don't forget to share your Meatless Monday recipes with us below. We love reading through your recipes each week. Your black bean hummus recipe sounds very good. I would like to make and can some beans later this fall so that I have them on hand to make a recipe like this quickly this winter. I too am a big fan of beans. So tasty! Thanks for hosting. A number of years ago an old friend from PR wanted some hummus and I offered to make it for her. Her request was that it had to be spicy and include black beans. After adding half scotch bonnet peppers 2green cayanne peppers and 10 ounces each of black beans and chickpea to my regular hummus recipe I came up with the best tasting hummus I ever made. Since then I have always enjoyed black bean hummus on steamed potatoes or rosted veggies. Yummy! I visited an Indian restaurant for dinner and posted a link to the chana masala recipe that's closest to what I had. Goddess!!!! I have been searching for various things to do with black beans. I love them and zealously bought several pounds of dried beans recently. Lol. Can't wait to try this! I love making hummus, but I've never tried black bean hummus! What an idea, it sound delicious. I always stock up on organic black beans whenever I make a trip to Whole Foods - they're super healthy. I have to make this recipe. Thanks for sharing it.